Standing in line for a bottle of Maker’s that you never intend to drink. 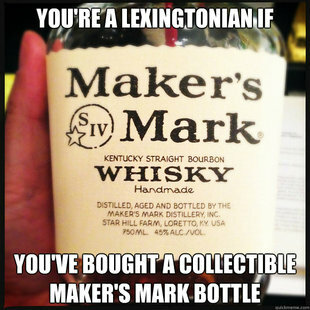 Now that is Lexingtonian. Please include attribution to http://www.lexingtonkyhomesearch.com/ with this graphic.